Can you please pass this on to all interested teachers in your school. Do you want a PD that is interactive, fun, and relevant and links to the QCT standards? Hands on real activities to explain what Dyslexia really is and also links to Autism and understanding of hidden disability. Do you have students who are struggling with reading/writing? Supporting students with reading, writing and literacy problems. How to generate strategies and solutions that create real change in hidden areas such as Dyslexia - reading and perceptual difficulties and Vision problems – unique, fun, ‘hands on’ and interactive. Lots of Practical Solutions explored… We will also look at some new technology and computer based ideas that can help – i pod/pad/ flip mino/ readers etc. In this PD Session you will experience what is like to have dyslexia. It will provide an overview of dyslexia and also explore the link to hidden disabilities via practical simulations. It will answer lots of questions and look at some strategies to identify dyslexia in the classroom and explore ideas and strategies that can be used in the classroom. It will also explore different learning styles and practical solutions of support. Small group approach. Around the table discussion and activities. Limited to 30 participants in total so be quick to book. > Be quick to register ---- limited places!!!!!! > Sharon Boyce won the 2008 Human Rights Award for her work with this program. It creates real knowledge and understanding of difference and explores educative techniques that really work. Discussions involving real life experiences. All questions explored. The sessions aim to keep inclusion progressing to create diverse learning environments. PD sessions – fun, exciting, energizing and worthwhile – building on prior knowledge. You won’t be bored! All participants receive a certificate of completion for PD. 10% discount voucher for Sharon’s new book– ‘Discovering Dyslexia – Uncovering some of the mysteries’ – released DAW 2018. It is a totally practical guide of awareness, examples, simulations and solutions. Small group sessions, guaranteed to make a difference. Discovery at Paradise Island is great for school years 3-7 (Ages 6-12 approx.) especially. It is an early chapter reader and it links directly to the SOSE and English syllabus. it explores culture and identity and the topic of disability in the family. The book is designed to explore disability on a deeper level as well as involve the reader in solving a mystery. It has links to specific tasks at the end of each chapter that encourage the reader to reflect on the story and content. It explores literacy and numeracy and code breaking as part of the storytelling process. Sharon won the Disability Action Week Award for Individuals (2003) for her work writing this book. This book has been reprinted using this open dyslexic font. This is an open source font that has been created to increase readability for readers with dyslexia. It works well for the majority of readers. It can be downloaded and used by anybody for any purpose. The typeface includes regular, bold, italic, and bold italic styles. It is being updated continually and improved based on input from people who use the font. It has been designed to make the text heavier on the bottom of each letter in order to try to anchor it onto the page so there is less movement of the letters for the reader. There are no quick fixes for dyslexia, however there are some solutions that may make it easier for a person to read certain types of font on certain types of paper. I wanted to see whether it made it easier for this book to be read if it was printed in the open dyslexic font and on a cream based, environmentally friendly, low gloss paper. Information about the open dyslexic font can be found on the website - http://opendyslexic.org. It is definitely not the only answer for dyslexia, but again based on individual preference, it may be helpful for many people. Often people with dyslexia will describe letters that float or move around a page with no real anchor. This font adds gravity and weight to the letters and words as it is thicker at the bottom than at the top. Studies have found that text printed in this font often stays more still on the page and works better for them. It is important though that you ask students if it works for them. This is just another one of the solutions in the dyslexia puzzle. Have a look at the website and download this font from this website http://opendyslexic.org. There are a number of different books that have been printed in OpenDyslexic font. I decided to try doing a print run of my book with this font as it will work for all students; those without dyslexia as well as students who have dyslexia. If it only helps in some small way that is all right. 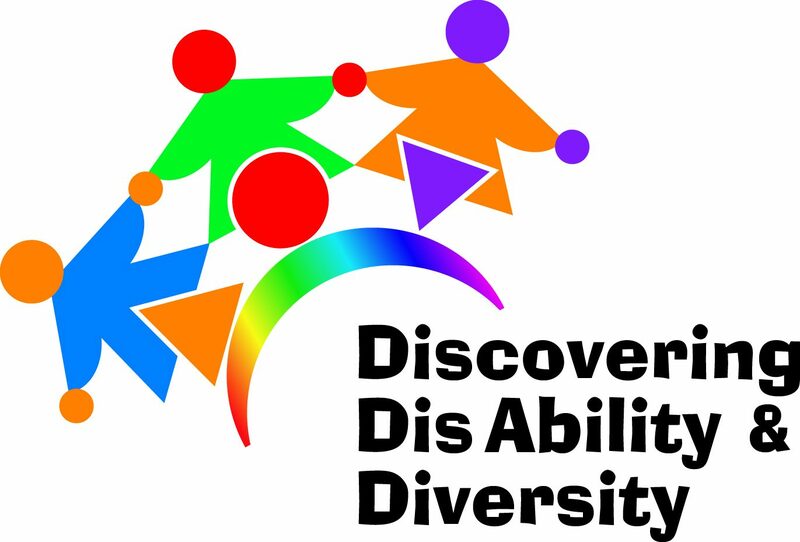 I became very interested in Dyslexia and the understanding of hidden disabilities in the work I do in schools and professional development with my consultancy Discovering Disability and Diversity. We sometimes need to find a combination of solutions and strategies to help students with dyslexia to be able to access literature. It may even make it a lot better for those students that have dyslexia. I want to at least create a number of different options of this text in a variety of formats to support students with reading difficulties! This book has also been produced in an mp3 audio format and a daisy format for people with vision problems. I would love it if you would like to buy this book and see whether it works with your students who are either diagnosed with dyslexia or have problems with reading and processing information. For me it has been a little bit of a learning curve and something that really has to be trialled with the individual who has dyslexia. Each individual is different and a solution that works for one person will not necessarily work for all. I do however think it is exciting to create a book that uses the open dyslexic font that is very popular according to many studies around the world and is very popular with people who have dyslexia. I explored this more in my new book, Discovering Dyslexia - Uncovering Some of the Mysteries. If it only helps in some small way at least, I will be happy.